Sometimes a plain ole feather toy or jingle bell just won't do. Sometimes we want to shower our feline friends with a luxury cat toy that is the best of the best. 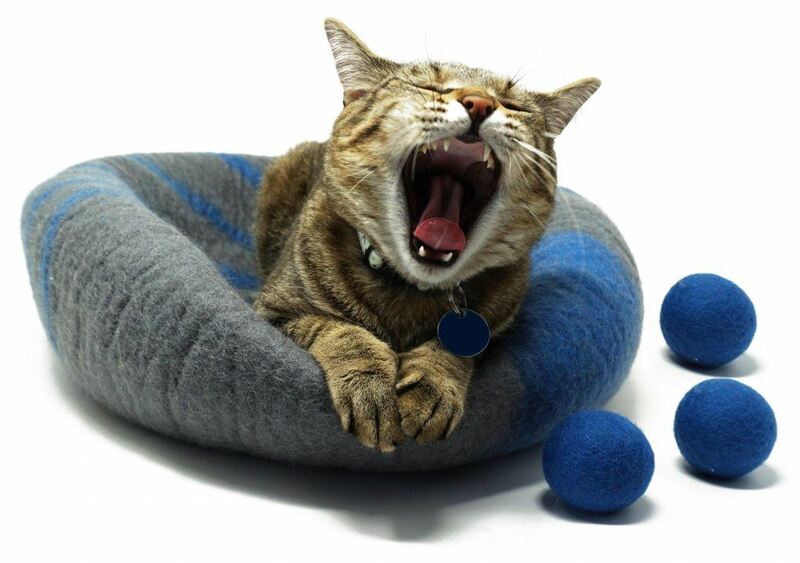 Check out these luxury cat toys that will have your furry pal going crazy for fun. We've seen hamsters running on wheels and people using treadmills, now we can give the same health benefits to our indoor cats. The One Fast Cat Exercise Wheel provides your cat with a sturdy tread surface made from EVA foam to cushion your cat's joints and to also prevent its claws from snagging. The unit can be easily wiped down to clean and comes in three different colors or a leopard print. Once your cat gets accustomed to this exercise toy, he is sure to love the run. This modular luxury cat toy can be setup in many different styles to fit any room and any cat's taste. After kitty has used it for awhile, mix the cubes up for a whole new play area or add more cubes to build on the fun. This Cat in Cubes unit includes; 33 solid panels, 15 round portals, 6 frames, 3 hammocks, 3 luxury beds and 3 scratchers. It also is available in black, tan or gray. Packed full of kitty fun, this luxury cat toy stands just over 5 feet tall. It includes many faux fur covered levels with two hidey spots to make resting more private. The posts are covered in sisal for the perfect, textured scratch and the two hanging toys and the spring ball wand are sure to entice kitty into even more play. It even provides a ladder-type ramp for easier access to the top levels and a puzzle box for those curious cats. A ladder, multiple levels, and the perfect sleeping boxes will provide your cat with hours of play and sleeping comfort. This luxury cat toy stands just over 7 feet tall and uses both coordinating faux fur and sisal rope for scratching. The 2 tunnels and 3-rung sisal-covered ladder are perfect for zipping through and up, providing your cat with the physical and mental stimulation he craves. 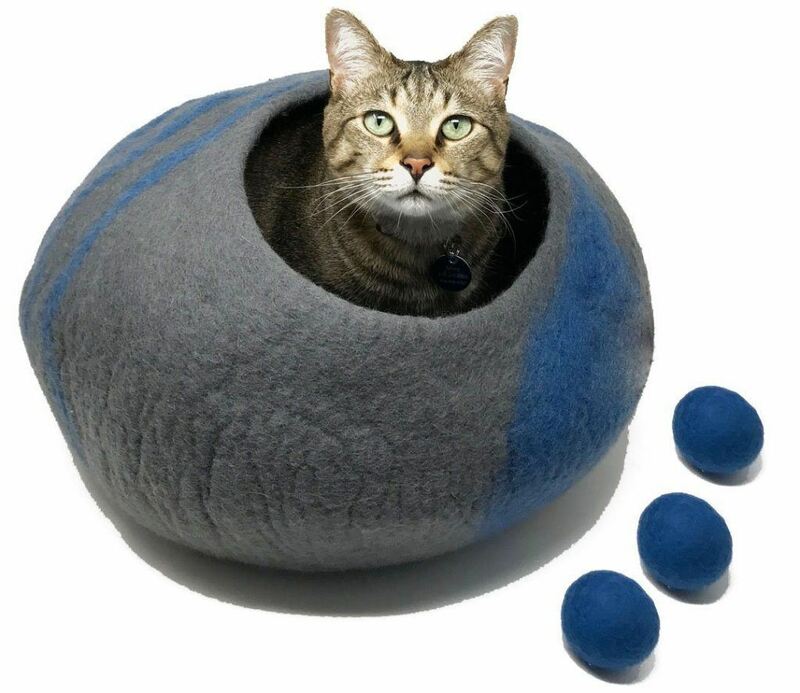 This luxury cat toy is not just functional, but its sleek design will compliment any home decor. This cat tree stands almost 6 feet tall and features a sisal pad for scratching, brown Berber carpet on the platforms (attached by Velcro for easy cleaning) and soft washable faux suede in the sleeping box. 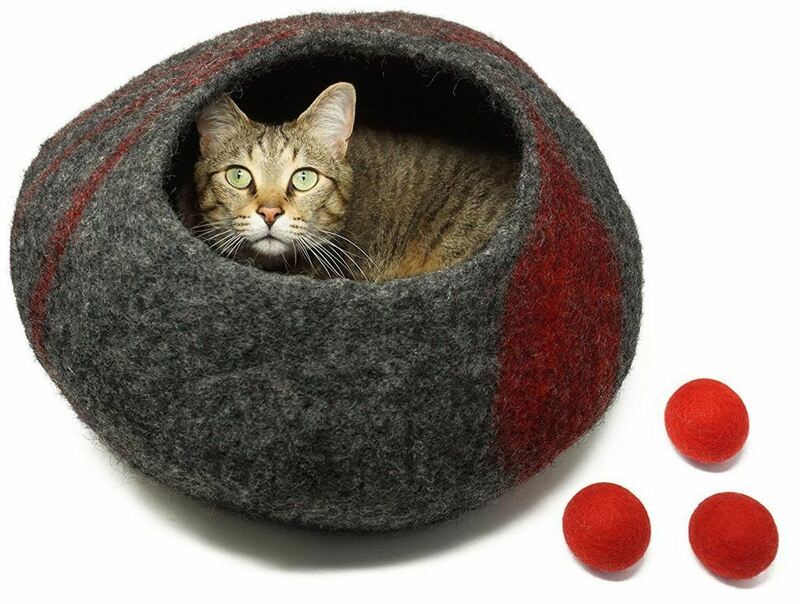 It's easy to Zen out your room with this unique and stylish luxury cat toy. If you're looking for a luxury cat toy that doesn't take up a lot of space, this oval-shaped cat scratcher/lounger may be what you've been searching for. Made from recycled cardboard for scratching and reversible for even usage, the PetFusion Jumbo Cat Scratche﻿r is durable enough for a grown human to stand on, yet stylish enough not to be too obtrusive. This "jungle gym" for cats is packed full of tunnels, ladders, levels and posts for hours of frolicking fun. It can be adjusted up to 9 feet tall and can be secured to the ceiling for extra stability. The carpet and sisal provide good scratching surfaces, while the cup bed and hammock are comfy resting areas. This entire unit weighs in at 120 pounds so be prepared to make some room for this luxury cat toy. Featured on Animal Planet, this sturdy, modular, luxury cat toy is super stylish, yet loads of fun for your furry feline. This unit comes with 5 different-shaped blocks that can be used as a cat scratcher, cat tree, coffee table or anything else you decide to try - perfect for changing up your cat's exercising fun. Plus, it can hold up to 300 pounds, so you know it's not going to fall apart during regular usage. With over 6 feet of "jungle" fun for your feline, this luxury cat toy will let your cat experience the outdoors without ever stepping outside your home. It features sisal posts with faux fur covered sleeping huts and artificial vine leaves for that nature-feel. The 2 hammocks and 2 protruding kitty sleeping cups will give your cat options, as will the multiple levels of exercising enjoyment. 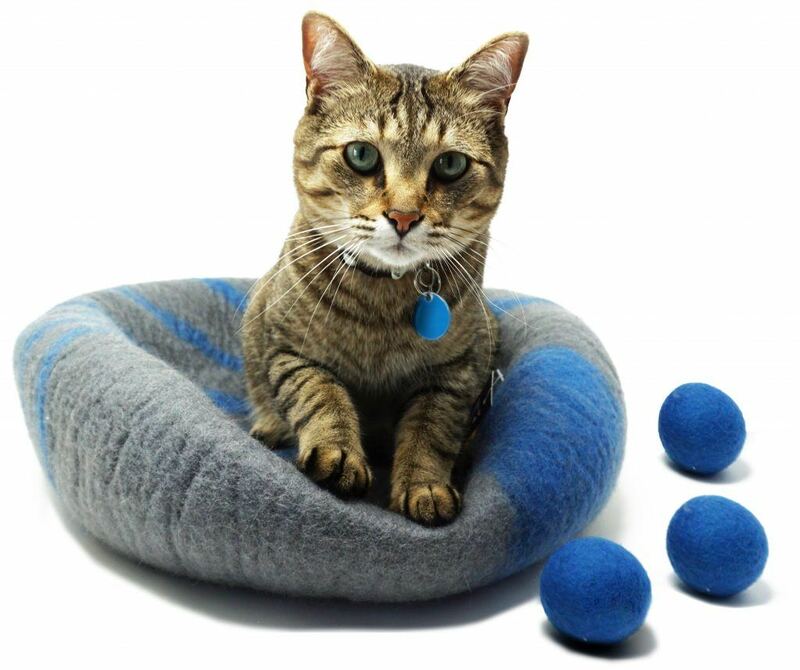 Cats get bored and lose interest in most cat toys on the market today, but with these luxury cat toys, your feline friend will stay entertained for hours. Although, the initial cost may be pricey, the fact that your pet will use it for years-to-come, makes them worth the investment.